First thing I need to say: there is no single thing that will get your app to 200,000 downloads with no marketing spend. It takes a versatile team, a ton of work, and more than a bit of luck. But in Hitlist’s year-or-so of existence, we’ve managed to gain over 200,000 ‘free’ users from the most valuable channels of all: word of mouth and earned media. We’ve never paid for an install, we barely touch our social channels, and we haven’t used any conventional ‘growth hacking’ tactics. However, there’s one thing Hitlist has done that I haven’t seen elsewhere, and it’s been such a huge boost that I wanted to share it and hopefully inspire others to do the same. What’s our one silver bullet? Hitlist has a tiny core team, but we’ve been able to leverage hundreds more through a simple device: consistent, concise update emails. I send one a month, called ‘The best update ever from Hitlist‘, to a list that now numbers in the hundreds. Last month’s focus, and how you did. As Mark Suster once put so well, investors invest in lines not dots. Your readers are investors, in a sense: they’re dedicating time to reading your email, and you may be hoping that at some point they’ll invest something else (money or expertise or references). Give people a sense of your arc, and show that you consistently deliver on the goals you set for yourself – or if you don’t meet them, explain why and explain why you will next time. Something they don’t get elsewhere: you’re asking a lot of your readers, and some of them will understandably be thinking (in Noah Kagan‘s words), what have you done for me lately? Try and include something educational or access to something cool. Remember that not all of your supporters speak ‘tech’, but they’re probably curious about it. Imagine you’re writing all your emails to your great uncle Bob who is an artist. If he wouldn’t understand what you’re talking about when you mention MAUs, then spell it out. Shout-out to a person/product that’s helped you out. If there’s a product that’s saved you lots of time, or a team member who’s been a hero, make sure to give them a hat tip. I’m a huge fan of Click to Tweet, for example. Validation: any outside press, milestones, or accomplishments that can help show your reader that they should care about you and want to be part of your success. Why we’re doing this: the ‘we’ here can refer to your team, or to you and all your readers. Why should they care? Why should they continue to invest any time in you? What are you adding to their life? Something amusing: make yourself personable. Some call it unprofessional, but I like to include a GIF. For example, this illustration of Hitlist’s preferred sorting algorithm. KEEP IT SHORT: 500 words or less. This is the formula I’ve developed over a year’s worth of updates (you can see the archive if you like at blog.hitlistapp.com), but I’d love to hear tips and what’s worked for you if you in the comments. If you find this useful, consider sharing it using the conveniently placed buttons around the site. And as always: check out Hitlist on iOS or Android, please one click tweet about Hitlist, Like us on Facebook, and follow us on Angellist! Yesterday I presented at an event with Albert Wenger, partner at Union Square Ventures, and Vinay Trivedi, author of ‘How to Speak Tech’ on how to transition from a 9-5 job to the world of tech entrepreneurship. Any comments/questions please ask away! You’re thinking of starting a travel startup. Congratulations! You’re joining the most competitive, saturated market in the startup universe, or as Y Combinator partner Garry Tan terms it, “the most common bad startup idea.” According to PhoCusWright, 750 travel startups have collectively raised $4.8bn in the last eight years (’05-’13, so that doesn’t even count AirBnb and Uber’s massive raises this year). But hundreds more have failed to raise funding and/or gain traction. Don’t let that discourage you. There’s a reason we all keep trying to disrupt this multi trillion dollar industry: planning, booking, and making the most of travel could be improved in so many ways. The tools to try and create something new have never been so accessible. 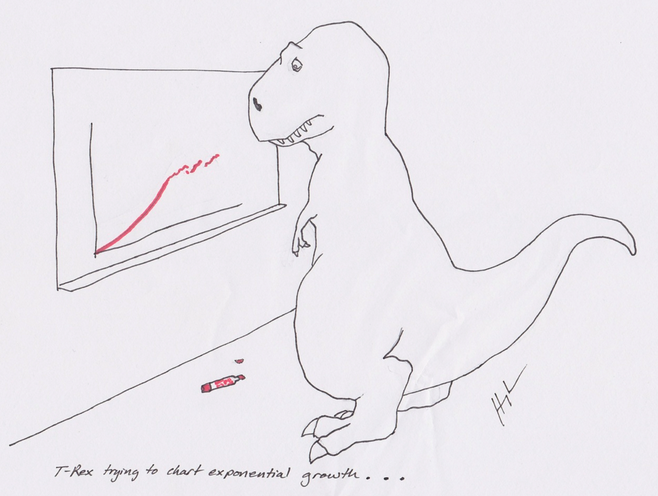 Gigantic funding and and a strong existing brand can actually stifle innovation. Here’s a list of resources I’ve found valuable in the course of building my own travel startup, Hitlist, which might help you get further faster. I’ve tried to make this as comprehensive as possible, but it’s naturally informed by my own experience. Therefore the information below is most relevant to US-based startups working on technological innovation (as opposed to building a brand/lifestyle business). I’d LOVE feedback/edits – leave them in the comments or you can contact me on twitter @gillianim. PhoCusWright is the default industry body for research and analysis. Subscriptions and buying individual reports are out of most startups’ budget ranges, but there are useful tidbits online. See if you can make friends at more established companies that can share reports with you until you’re grown up enough to pay for your own. Tnooz has long been the rag of choice for intra-industry gossip, analysis, and breaking news. With a distinguished list of contributors and an active community (as seen through the comments on most articles), it’s worth a daily read. Skift plays in the same space as Tnooz, but is a few years younger (and has some ex-Tnooz writers on staff). They generally don’t feature outside writers but do have sponsored content. The newsletter is excellent and they’re entering the conference game with their own ‘Future of Travel Forum‘ in October. ThinkwithGoogle, eMarketer, MarketWatch, and HUGE have also put out some interesting travel industry research. David Ambrose of Steadfast VC has put together a fantastic list of angel investors and VC funds that have invested in travel companies in the last few years. In the VC space, General Catalyst and Thayer Ventures are well known for their focus on travel. Sequoia deserves special mention for, characteristically, getting into almost every major success in recent years (ITA, Kayak, AirBnb). Accel and Insight have also made a number of notable investments in the space. Side note: as far as I can tell, the only woman represented on any of these lists – and the only woman I know of who has led any part of that $4.8bn invested in travel – is Sonali De Ryckr at Accel in London. Granted there are fewer women in venture capital in general, but they also seem to be disproportionately uninterested in travel investments. CONFERENCES/EVENTS: this is not meant to be comprehensive – these are the conferences that fellow travel founders have found most value for money. H/t to David Litwak of Mozio, Alex Bainbridge of TourCMS, and Paige Brown of Dashbell for their insights. PhoCusWright (various US locations, November, from $3499). The research company remains the indisputable king of the travel conference game. Its annual conference, held somewhere in the US, has historically attracted the who’s who of the travel ecosystem. The price tag is steep and so it’s important to go only if you have a clear agenda on what you’re hoping to get as your ROI from the three day event. There’s a smaller European edition in Dublin in May. ITB (Berlin, March, 60 euro). Bring your walking shoes if you plan to go to this massive trade show. It’s very similar to World Travel Market, in London in November, but for some reason seems to attract more notable industry people. Expect lots of exhibition halls with every facet of the industry (from baggage handling systems to Disney tours) represented. A great opportunity to learn and network at any of the hundreds of coffee/cocktail hours. Hot tip: the LGBT pavilion has the happiest happy hours. The inaugural Skift Global Forum (October, New York, ~$1200, with a much appreciated discount to $440 for startups) was a sell out smashing success: one commenter called it the ‘TED of Travel’. More intimate than the other conferences, and packed with good people to know. Web In Travel (Singapore, late October, from $2000) the premier travel conference in Asia. GBTA (various locations, July). The Global Business Travel Alliance holds a number of satellite conferences around the world but the annual Convention in July is the most effective for networking and BD. WTM (London, November). Slightly smaller version of ITB (see above). Many of the major companies (Amadeus, Concur, Datalex, Sabre, etc) throw their own conferences which can be high value. Travel Massive (various locations) is the most established meetup of travel industry folks. It’s a little different in every city (they’re active in more than a dozen, listed here) but tends to be heavier on bloggers/travel agents than on people involved in the technical side of the industry. Travel 2.0 (New York, Boston) puts on educational and networking events specifically for aspiring or current travel founders. Young Travel Professionals and Millennials in Travel are both networking groups that throw events in a number of different cities (mostly NYC & LA). INCUBATORS/ACCELERATORS: if this is your first startup, you may want to consider one of these 3 to 6 month programs that typically provide seed funding, office space, mentorship, and an opportunity to present your company to investors at a ‘demo day’ in exchange for a nominal amount of equity (5-10%). The right accelerator can push your startup to achieve in 3 months what might take others 3 years. Y Combinator (Silicon Valley, 3 months, 2x/year) has a rich legacy in travel startups. AirBnb is the obvious standout success, but Hipmunk, Flightfox, Airhelp, FlightCar, etc have also worn orange. Startup Chile (Santiago, Chile, 6 months, 2x/year) loves to fund travel startups, but typically doesn’t provide much value add. Unless you count a subsidized six months in Chile as a value add. On the upside, they don’t take any equity in the company. TechStars (various locations, 3 months, one starts nearly every month) has a decent legacy in travel. FlexTrip (Boulder), DealAngel (Boulder), Wander (NYC), have all been acquired. Dashbell (Boston) and others have raised subsequent rounds. RunUp Labs (Bloomington, Indiana, 3 months, 1x/year) the ‘first dedicated travel startup accelerator’ just had its first demo day on August 1st. Unclear where they’ll be going from here. Traveltech Lab (London, no set term) offers free office space and opens January 2015. We’re excited to hear more about it – applications are open now. BOOKING APIs: if you want to allow users to view live pricing on your site/in your app, you’ll want to either build or connect to an API that can provide live pricing and availability information. These can turn into revenue streams for your app in two ways: either you will act as a travel agency yourself, earning a commission off every ticket booked through your app, or you will send your traffic to a booking partner in exchange for a lower referral commission. Becoming a travel agency is much more involved: you will need to provide merchant services (customer service, insurance, etc). Depending on how well funded you are or how agile you want to be, it might make sense to refer to partners at least until you prove your business model. Skyscanner has a robust, well documented API that is offered for free to select partners. You can try emailing them but networking your way to an introduction will be more useful. Orbitz / Cheaptickets (same parent company) offer an affiliate API, but I’m not sure what kind of commission they provide. Sabre, Travelport, Amadeus, and ITA all offer paid APIs, but you will need to provide end booking services or link to another partner if you want to make a commission. Expedia Affiliate Network is the most popular for its ease of use and clear commission structure. Rome2Rio has a number of very useful APIs for everything from geolocating to the nearest airport to navigating from, well, Rome to Rio. This Quora post of the largest travel startup exits goes into more detail on the movements of big companies in this space. NOTABLE TRAVEL STARTUPS: Diego Saez-Gil of WeHostels has compiled a great Quora post with the major exits in the travel space in the last decade or so. Some of the biggest travel startups (defined loosely as those that haven’t yet reached an ‘exit’ – either by IPO or acquisition) are listed below – I’ve tried to highlight all the ones that have raised over $10m, and also some notable up-and-comers. Douglas Quinby at PhoCusWright also issues a ‘State of Travel Startups’ report every year which is packed with interesting insights. 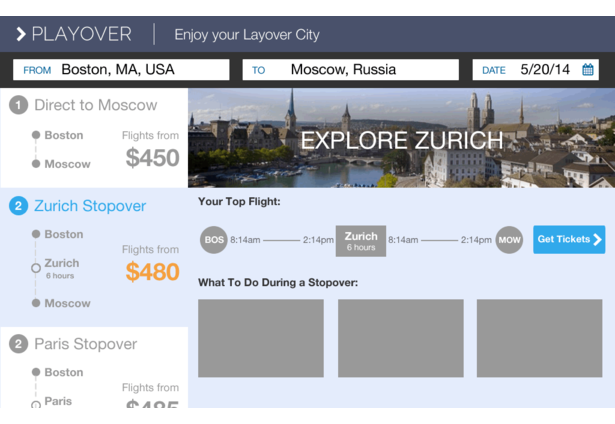 Metasearch engine (Kayak, Skyscanner) – aggregator of OTA content, drives warm leads to OTAs and direct to airline websites in exchange for a referral fee. The important distinction from an OTA is that you do not make your end booking on a metasearch engine. Metasearch engines make lower margins than OTAs but usually make up for it in volume. GDS = Global Distribution System (Sabre, Amadeus, Travelport, ITA) – centralized repositories of fare and availability data for flights, hotel rooms, car rentals, etc. GDSs sell this information to OTAs and, increasingly, metasearch engines (Amadeus in particular has made strides in developing search as a service). IF YOU THINK THIS IS USEFUL please share it with your friends. And remember, as this GIF illustrates, if you can roll with the punches and move fast, you may be able to make the competition fall on its face. The Complete Guide to NY Tech – ABRIDGED! A few months ago, Steve Schlafman of RRE Ventures put together an exhaustive overview of the NYC tech landscape. It’s great, but at over 100 slides, it’s a lot to wade through, especially if most of the names are new to you. So here’s a hopefully more digestible version, loosely modeled after Rob Go’s excellent ‘Hitchhiker’s Guide to the Boston Tech Community‘. New York has always been a center of innovation. But when it comes to the kind of internet-enabled, venture capital-fueled innovation we call ‘tech’, the Big Apple was long considered a bit of a backwater, the kind of place a good programmer would only move if his/her significant other was trying to be an actor. Less than ten years ago, people were more likely to consider Boston or Chicago America’s second tech city. How things have changed. New York is now the world’s fastest-growing tech hub. We can’t compete with Silicon Valley for sheer scale yet. But Foursquare, AppNexus, Tumblr, Meetup, Makerbot, Shutterstock and Buzzfeed have shown the world that NY tech is more than just fashion and finance (though Gilt, Warby Parker, and Kickstarter are also great). If you don’t believe me, read Venrock partner Nick Beim’s fantastic, data-packed analysis of ‘The Rise and Future of NY Tech’. If you’re new to town or new to tech, here are some places to kickstart your journey into the NYC innovation community. – Ultralight Startups, Entrepreneurs’ Roundtable: monthly event with 4 or 5 startups pitching a panel of VCs and getting feedback. Instructive. – accelerators: TechStars, AngelPad, DreamIt, and Entrepreneurs’ Roundtable: in exchange for 6-10% of your company, receive $20-40k investment, work out of a shared office space, and gain access to a community of mentors who help you accelerate your startup’s development. Competitive admission. More comprehensive overview from AlleyWatch. Educational resources – the last few years have seen an explosion in Tech Education. Some might argue that successful entrepreneurs learn by doing, not paying $12k for a coding course. But the paid schools below have built up impressive alumni networks and also help with job placement, which may justify the price depending on your own networking prowess. – Flatiron School: twelve weeks, $12k, and arguably the best coding education you can get outside of a good university. Competitive admission. – Maker Faire (late September): take Medieval Times and replace the jousting with robot jousting. Really! Scenesters – not the ‘best’ entrepreneurs and investors, but the people that go most out of their way to be accessible and welcoming to new startup-minded people + the ones that consistently generate good social media content. Sorted by descending sum of Twitter followers, more or less. – Joel Spolsky: founder of Stack Overflow, but best known for Joel on Software, his coder culture-defining blog since 2000. Blogging for 14 years!! – Howard Morgan: First Round Capital. Most active 60+ year old tweeter in tech? – Christina Cacioppo: formerly USV, now building something? – Ryan Matzner: co-founder of Fueled, insanely well dressed. Yes, both of them. – Is this comprehensive? Hell no. That’s the point. Still, please let me know of any glaring omissions or falsities in the comments, mail g at hitlistapp.com or via the social network of your choice.